If you have a small aquarium it can be pretty hard to find the right fish to stock it with. Most of the popular choices for smaller tanks – pygmy corydoras, dwarf puffers, clown killifish – should still be kept in at least around 10 gallons (40 L) and are wrongly marketed towards smaller setups. So what choices does that leave us with? Not that much, but there are still a few options. Keep reading for a short list of the actual smallest of the smallest fish which can be kept in tanks under 10 gallons. Note: Please do not keep fish in any aquarium smaller than 5 gallons. These extreme nano tanks cannot hold a stable cycle and you should only keep invertebrates with a small bioload in them. Please do not keep more than a single species of fish in your nano tank to prevent overcrowding. This list contains some suggestions for suitable invertebrates that you could consider adding. Lyretail killifish (pictured at the top of this post) are a popular choice for smaller aquariums. If your tank is long and relatively shallow, you can keep a pair or trio in 8-10 gallons (30-38L), provided the setup is very densely planted. Unlike many other killifish species Aphyosemion australe is not annual, which means they live for more than a year and you don’t have to breed them every year to keep your population intact. In fact, they can survive for up to three years and are relatively hardy compared to other killies. Although Heterandria formosa are commonly known as “least killifish”, they’re not actually killis! These tiny livebearers are a fun species to keep in your nano tank due to how easy it is to breed them. A ‘harem’ with 1 male and 2 females can be kept in tanks as small as 5 gallons (20L), while bigger groups are possible in slightly bigger setups. Because they naturally occur in very slow flowing waters, least killifish don’t appreciate a heavy filter flow. Try finding a filter with a gentler flow (like a sponge filter) and go for dense plantation to keep water values stable and imitate the natural habitat. Bettas are often marketed as suitable for tiny unfiltered bowls and vases, which they’re unfortunately not. However, that does not mean they’re not a great choice for small setups. Heated, filtered aquariums of at least 5 gallons (20L) make a great single-fish setup for Betta splendens. Bettas naturally occur in waters with dense vegetation, so consider live plants to imitate the natural habitat and provide your betta with a place to hide. Floating plants like Amazon frogbit are especially appreciated, as their long roots offer plenty of cover. For more information about betta care, check out the Betta caresheet. Wondering why exactly bettas can’t be kept in a bowl? Check out Betta than a bowl, where some common betta myths are smashed. 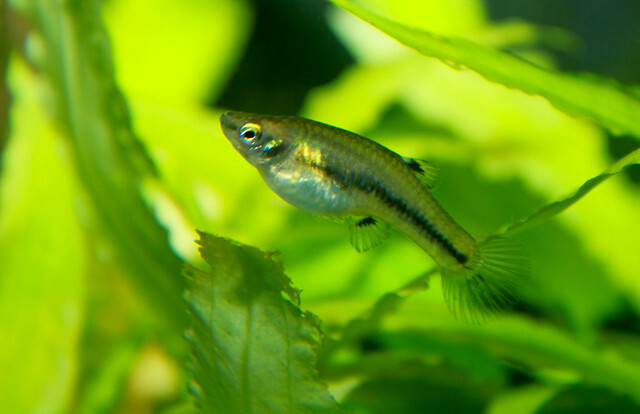 Although these schooling microfish were originally thought to be rasboras, they seem to be more closely related to the danio family. Their gorgeous colors make them a great centerpiece for your nano setup, although many sources report that they are quite fragile and may be picky eaters. Because of this, and the fact that they should be kept in schools and the males can be aggressive towards each other, I wouldn’t advise keeping them in the smallest possible nano tank, but instead going for something between 8-10 gallons (30-38L). This makes it possible to keep a slightly larger group and maintaining a good water quality will be easier. These fish seem popular with shrimp keepers because of how extremely peaceful they are, so if you’re looking for an addition to your dwarf shrimp tank they may be a good choice. 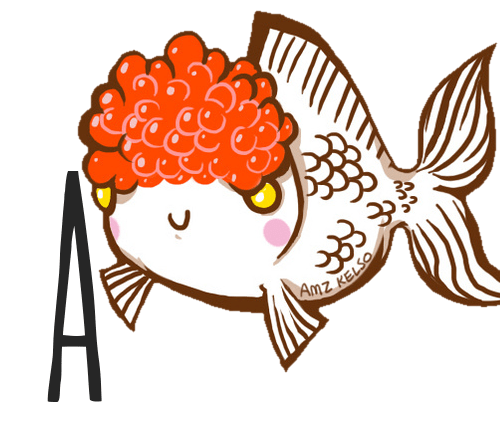 I hadn’t actually heard of this fish until it was recently suggested by a reader, and I couldn’t believe they aren’t kept more often! These catfish are peaceful and stay very small, with a maximum of around 3,5 cm (1,4 inch), which means they’re definitely suitable for nano tanks. Although there isn’t much known about them, it seems that 3-4 specimens do well in a 8-10 gallon (30-38L) aquarium because they’re not too active. A carnivorous diet is preferred – frozen foods are great, but make sure they’re small enough for the fish to eat. When stocking a nano tank, please always keep in mind that the welfare of your fish is more important than keeping as many species as possible. It’s quite difficult to keep the water values stable in smaller aquariums, so don’t overstock and test the water often. If you don’t have time to keep a close eye on your nano tank, stick with invertebrates! There are many great species to choose from. If you have any more questions about stocking and keeping aquariums under 10 gallons, be sure to leave a comment below. Happy microfishkeeping! Hi, I was just wondering that lets say I wanted to do not only one type of fish above but 2 to 3 types in a 10 gallon. What do you think is a good setup of these fish to have in the 10 gallon. Thank you. You say that you can’t keep small tanks cycled, but I have a 5, 2.5 and 3, and they are heavily planted. They’ve been cycled for 3 years now and they nitrate level hardly gets about 10. Well, I’m glad to hear you’re having succes with them. I would still strongly recommend against such tanks and especially against keeping any fish in them, as your cycle will be very fragile. Shrimp or snails are a good option, though.